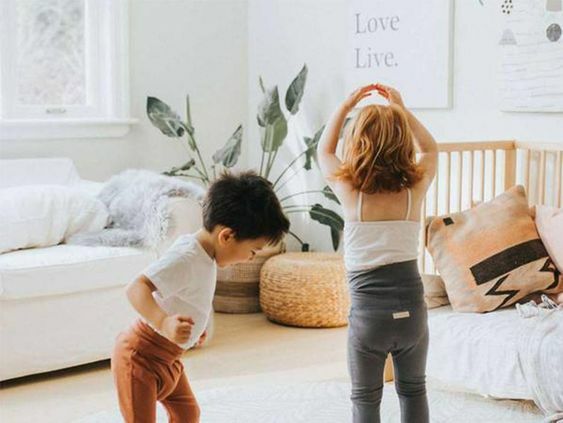 Mom Love this week goes out to Sarah Rusztyn, a fellow mom we met on Instagram who has the most remarkable feed. 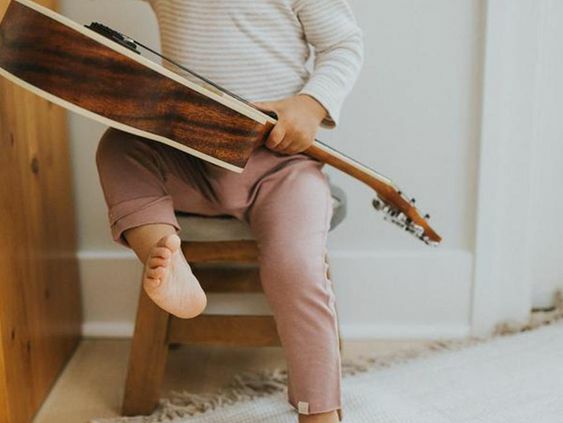 She shares photos of most of the meals she makes for her almost-two-year-old son Wyatt, and is an endless source of inspiration for other moms looking for mealtime inspiration. Sarah lives in St.Catharines Ontario and is an early Childcare Educator – so she has lots of experience with the under-5 crowd. 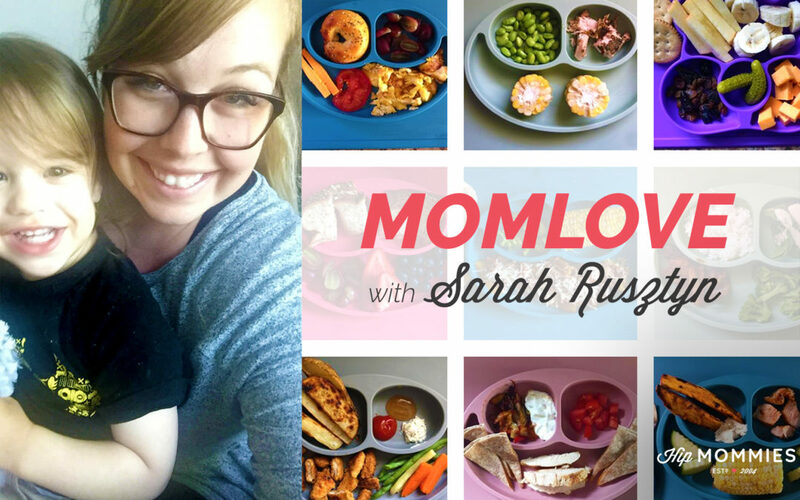 A baby-led weaning enthusiast, Sarah admins a popular BLW Facebook Group (with over 22K members!) on the topic to help support other moms through their feeding journey. Hi Sarah! Can you tell me a bit about your parenting “philosophy?” if you have one? I believe in balance! I am a very easy going parent but also like a routine as well! I also am a firm believer in allowing Wyatt to take risks and treating him as a capable little person. Motherhood can be tough at times, I know. What has been your biggest learning? I think one of the hardest things about motherhood for me has been learning to be okay with asking for help. It used to be something I thought made me look weak, but I have learned that a good mom knows when to admit she needs help. One of my proudest moments has been being able to juggle motherhood, working full time and married life! How was starting solids with Wyatt? Did it go smoothly? Was there some serious picky eating? We decided on BLW when I was pregnant! I was more than ready to dive in at 6 months… my hubby not so much! He was quite nervous but trusted that I wouldn’t be doing something unsafe with our child. Wyatt tried everything we offered him! That is great news, he is adventurous! Did you do BLW, purees, a combination? What does mealtime look like at your house? If a fellow mom came to you just starting the feeding journey, what advice would you give her? To enjoy the process, and not compare your babies progress to others. Just like with anything they all develop at different rates and have different strengths. It is obvious in your feed that you are a big fan of ezpz. When did you begin to use ezpz? We started with our ezpz mini mats right from the get-go! I introduced the mat to Wyatt before we started BLW and just allowed him to play with it, explore and get used to having it on his highchair tray. I had ordered 2 plates online from Amazon thinking they were ezpz when in fact they were fakes. ezpz contacted me and replaced them for me at no charge without hesitation. We had an amazing experience with the customer service and it made me want to continue supporting an awesome company run by a mom! We chose ezpz because I had heard many good reviews about the product – and they were all right. Anything else you want to share with other moms that may be struggling with mealtime? Relax! 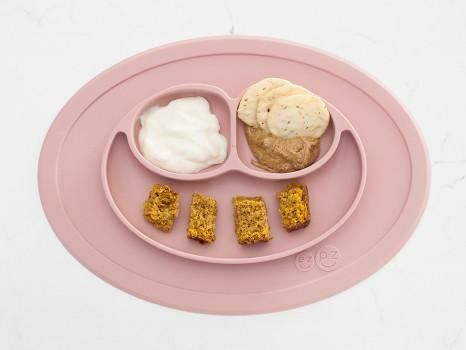 Honestly, it sounds easier said then done but fully trusting your baby to know what they need is important and treating mealtime as food exploration is very important. Let them learn at their own pace. 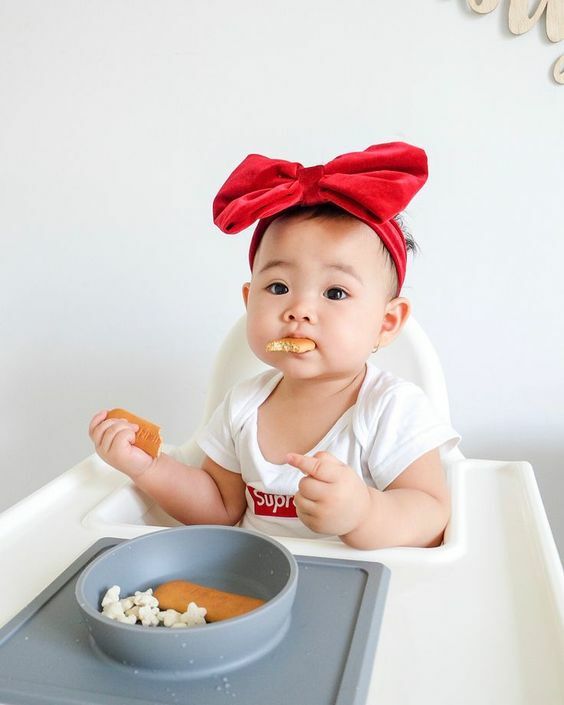 Eating is a process just like learning to roll over, crawl, walk and talk. Want to learn more about Sarah Rusztyn? You can connect with her on her Instagram at @blweats. or Facebook! If you are looking for some baby led weaning support, join Baby Led Weaning 101 Facebook Group. Looking to purchase some ezpz? Sarah has a promo code for you!